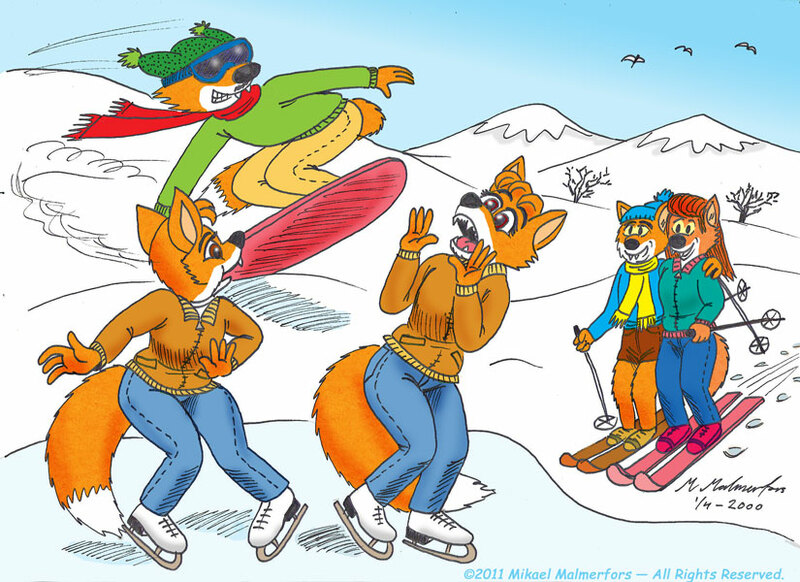 Image #86 - "Fox on Board 3" or "How to use your snowboard to annoy a couple of foxgirls!" Copyright © Mikael Malmerfors 2011. All rights reserved.